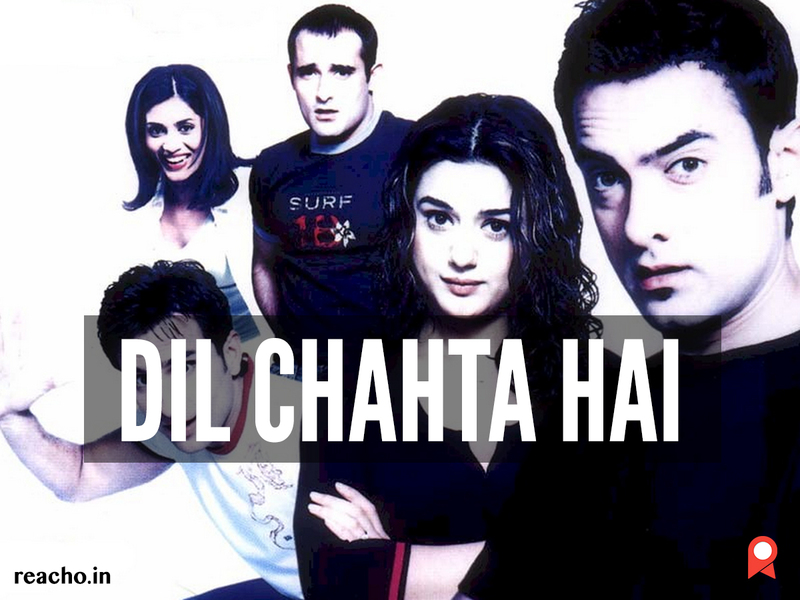 Cult favourite Dil Chahta Hai completed 15 years on August 10th. DCH, as we all refer to it fondly, changed the paradigms of Bollywood cinema. 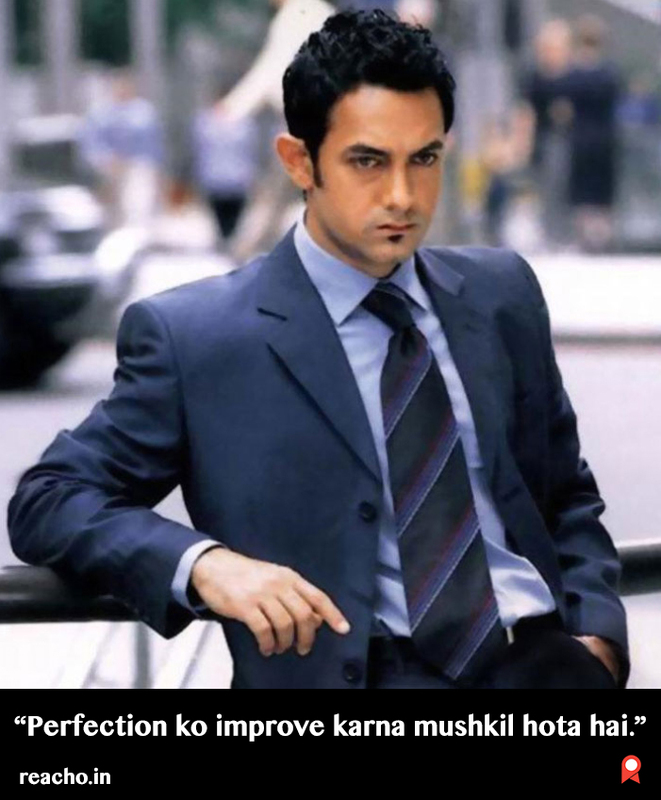 Cult favourite Dil Chahta Hai completed 15 years on August 10th. DCH, as we all refer to it fondly, changed the paradigms of Bollywood cinema. For the first time we had a plot to which we could all connect instantly. It was not the typical Bollywood 90’s action, love triangle or a family saga. DCH was the story of three friends, three regular people we come across daily in our lives. The story brilliantly showcased the life of out-of-college, not-so-old youngsters. It was about “facing their fears”- Akash (Aamir Khan), “being confused”- Sameer (Saif Ali Khan) and a “dedicated forever”- Siddharth (Akshaye Khanna). Till date we mutter it to our confused friend when he is not able to decide between his choices, or do we say, priorities. And if he is chasing a girl named Pooja, then we enjoy the laughter more loudly. Every time we check out an old picture taken with our beloved friends, we unknowingly say the same. This dialogue after DCH has become the default answer of hopeless romantics when teased about their love life. There is always that one friend in our group who thinks he does not have any faults. You can connect this with all the “always hungry” friends in your group. So...feeling nostalgic? Go and relive the memories! 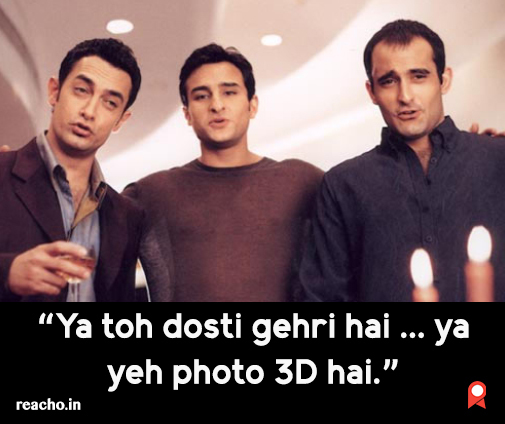 Watch Dil Chahta Hai again with your friends or call them up while you watch it. P.S. DCH was the first film which Farhan Akhtar wrote and directed himself. It won him the National Award for Best Feature in Hindi on debut.